Ready to learn Adobe Photoshop? Start here! In this first chapter in our Photoshop Basics series, you'll learn everything you need to know before jumping into Photoshop! In the first lesson, you'll learn how to keep your copy of Photoshop CC up to date with the latest features and improvements. Then in lesson 2, you'll learn how to install Adobe Bridge, the powerful file browser included with Photoshop. With Bridge installed, you'll learn how to download photos from your camera to your computer using Bridge! And from there, we take a more detailed look at Bridge and learn why you'll want to use Bridge to organize, preview and open your images. Lesson 5 is where we learn about some important color settings in Photoshop. You'll learn why Photoshop's default color settings are not the best choice for image editing, and how to help your photos look even better with just one simple change. And if you use Photoshop as part of the larger Creative Cloud or Creative Suite, you'll also learn how to sync Photoshop's color settings with your other Adobe apps (like Illustrator and InDesign) to keep your colors accurate no matter which app you're using! Lesson 7 explores some important options in Photoshop's Preferences that can keep Photoshop and your computer running smoothly. You'll also learn how to customize Photoshop's interface from the Preferences, how to save backup copies of your work, and more! And finally, in Lesson 8, you'll learn how to reset Photoshop's Preferences to their defaults, and why knowing how to reset them is such an essential troubleshooting skill. Need printable versions of these tutorials? All of our Photoshop tutorials are now available to download as PDFs! Let's get started! If you're an Adobe Creative Cloud subscriber, you always have access to the latest version of Photoshop. In the first tutorial in the series, learn how to make sure that your copy of Photoshop CC is always up to date with the latest features and improvements. Before we get into Photoshop, we first need to learn about Adobe Bridge. Bridge is a powerful file browser and companion program for Photoshop. Bridge CC is included as part of your Creative Cloud subscription, but it needs to be installed separately. We'll be using Bridge a lot as we learn Photoshop, so let's learn how to install it! Now that Adobe Bridge is installed, let's learn how to use Bridge to download photos from your camera to your computer! We'll learn how to preview and select images with Bridge, how to save a backup copy of your files, add copyright information, and more! Learn more about Adobe Bridge and how to use Bridge to find, organize and preview your images. You'll learn about the Bridge interface and panels, Full Screen Previews and Review Mode, applying star ratings, adding keywords and copyright information, filtering images, and more! Photoshop is the world's most powerful image editor. But its default color settings prevent your images from looking their very best. In this tutorial, learn how to open your photos to an expanded world of color with one simple but important change. If Photoshop is the only Adobe app you use, then changing its color settings is all you need to do. But if you use Photoshop as part of the larger Creative Cloud or Creative Suite, learn how to sync the color settings with your other Adobe apps to keep your colors accurate and consistent. We're almost ready to jump into Photoshop. But before we do, let's look at some important options of the Photoshop Preferences. These options will help us improve Photoshop's performance, customize the interface, save backups of our work, and more! Knowing how to customize the preferences in Photoshop is important. But so is knowing how to reset them. The most common source of sudden performance issues with Photoshop is a corrupted Preferences file. In this final tutorial in the series, learn how to quickly delete your Preferences file and restore them to the defaults. Completed all the lessons in this Getting Started with Photoshop chapter? Congratulations! 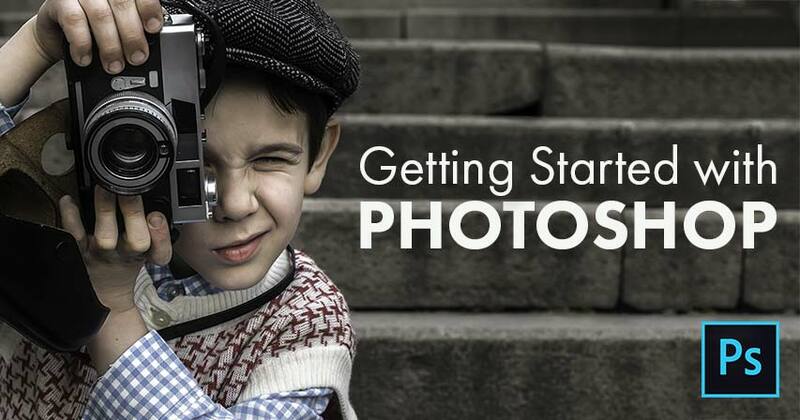 You're ready to move on to Chapter 2 - Getting Images into Photoshop! Or for more chapters, along with our latest tutorials, visit our Photoshop Basics section!